Ensyn Technology has been producing fuels and chemicals from wood since 1989, and continues expanding. A new Alberta plant will convert wood waste from a sawmill into pyrolysis oil, using Ensyn's fast pyrolysis process. The conversion of wood and agricultural waste into high value fuels and chemicals is an economic activity which will have to compete with many other approaches to fuels, chemicals, and energy production. But over time, waste to energy processes will become more efficient and cost-effective, while most competing feedstocks and approaches are likely to grow ever more expensive. Cheap methane from shale deposits will likely delay many waste to energy projects for a number of years. But there will also be companies such as Ensyn which find niches of opportunity within which to operate profitably. When fossil fuel prices begin once again to edge upwards, Ensyn and other opportunistic innovators will already be in position to expand. Hey Peak Oil! Chew On These Ethylene Crackers! Hey Peak Oil! 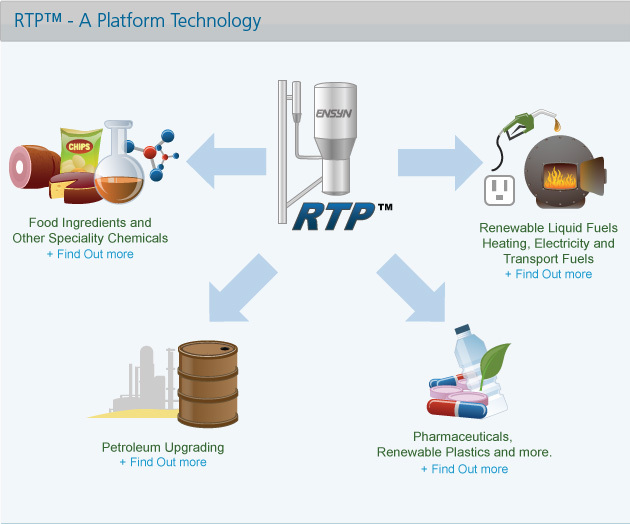 Gevo Makes Renewable Jet Fuel!